Nintendo is easing out the full-fledged version of their super-successful Wii console. 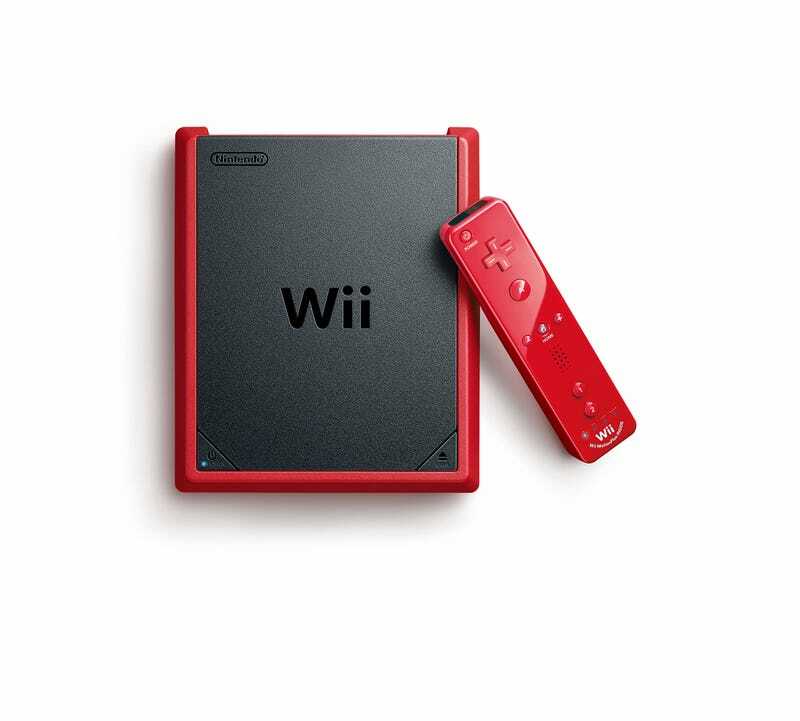 But, for folks in the market for a Wii machine without the U in the name, there's the Wii mini. It'll come with Mario Kart Wii, which seems slightly counterintuitive for a console without online functionality. The Mini came out last year as a Canadian exclusive for the North American market and was looked at as a sort of red-headed stepchild of the Wii family. When Nintendo divulged the end of production for the Wii, it seemed like they were trying to clear the lanes for sales of the Wii U. But they might've been setting the stage for the Mini, which seem to be primed to be sold as an introductory console. It's due to hit stores by mid-November.